I come from a family of story tellers. We all jump at every chance we can get to tell a story. If there’s a good one, we pretty much trip over each other to be able to tell it first. The best stories are the funny ones. The ones that we can barely get through, we’re holding our stomachs from laughing so hard. One such story came at a time I never expected. My sister and I were gathered in our mom’s church, surrounded by uncles, aunts and cousins. Our whole immediate family was together — everyone except Mom. She was the reason we were there. It was the day of her funeral. We waited in a side room as friends filed into the sanctuary for the service. It was an awkward waiting. None of us wanted to be there, and nobody knew what to say. Then one of my uncles reminisced about the last time we’d all been together in this church — on my wedding day. He and my other uncle had been designated as the drivers who would chauffeur me and my newlywed husband to the reception venue. My uncle proceeded to share a story about that day I’d never heard before. We all howled with laughter, imagining his angst. By this time, I had tears rolling down my cheeks. It felt so wrong — to be crying from laughter just minutes before my own mother’s funeral. But the Lord knew that was exactly what I needed in that moment. Right then, the laughter was a gift. I completely get this!! Laughter is definitely a gift. 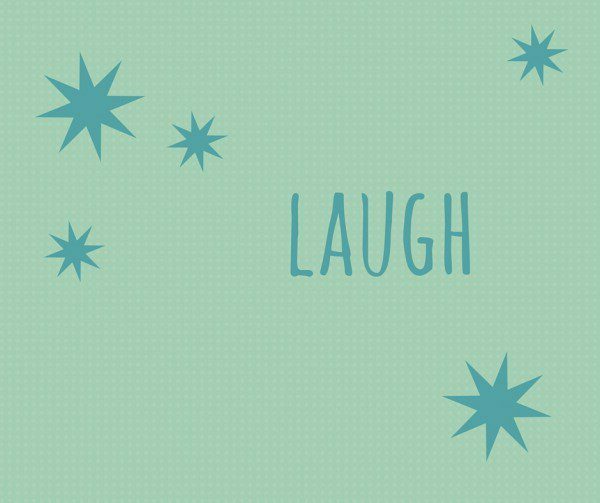 PS:I just wish deep-seated laughter would come more naturally for me than it does.